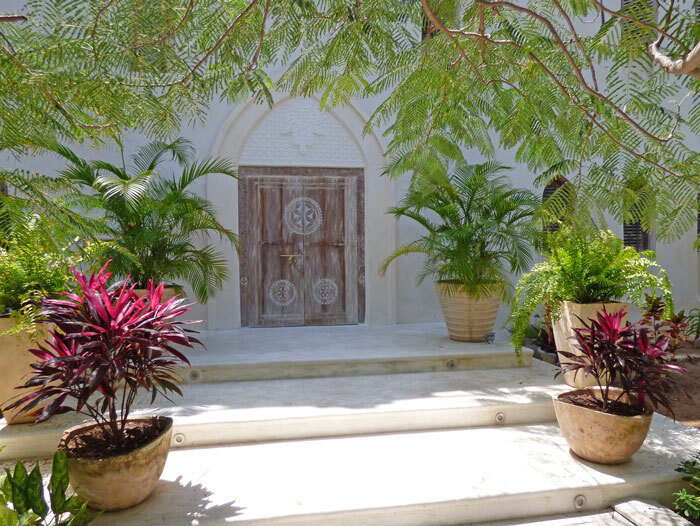 Watamu Nyumba Jua is a four bedroom makuti-topped house just North of Watamu Village, with views out to sea from the first floor and a short five minute walk to Watamu Beach. All the bedrooms are air-conditioned, and there are two additional beds on the outside terrace. The property includes a cook and askari and has generator backup. The swimming pool has a galana stone floor, is flanked by sunbeds. The dining area is downstairs on the outside verandah overlooking the pool and gardens.